Can new concrete slabs be laid on top of existing concrete slabs? Yes, concrete slabs can be laid on top of existing concrete slabs, as long as the extra height gained by doing this does not affect the damp-proof course, if the slabs are around a building. All finished surfaces should lie at least 6-inches below the damp-proof course to prevent water breach. This is very important and is the only foreseeably problem with your question. What is the best time of year to re position plants? Plants are best split and/or relocated in the Autumn & Winter months, whilst the plant is dormant. Between Nov-Dec is ideal, as frosts make it very difficult to dig the soil. What garden plants are safe for my rabbits to eat? I would not encourage your rabbit to eat garden plants in general. But there are few toxic plants growing in the average garden. Animals generally know which plants are safe to eat and which are poisonous, without being overly concerned about their welfare. The main ones that may be of concern would be Aconitum (monkshood), Digitalis (Foxglove) and Taxus berries (Yew). Watering is difficult to predict due to the varying climate we have. It is safe to assume that if it does not rain and the sun is particularly hot, then daily watering will be necessary, especially for south-facing borders. Otherwise, if you keep a close watch on your plants, their leaves will usually show you when they need water. Most of the year round, watering is only necessary for hanging baskets and pots. A layer of bark over the surface of the soil helps keep moisture locked in, which the sun baking only the bark, not drying the soil out. It is a good idea to understand which plants in the garden are likely to need more water than others. Some plants may need more individual watering than others. The only real advice is to watch the weather and act accordingly. How do I sterilise garden soil and why should I do it? You should not sterilise your garden soil and cannot buy products in the UK to do this. Perennial weeds should be treated with a systemic weed killer, which will kill the roots of the weed, but will only act on coming into contact with green leaves and does not sterilise the soil. Bug sprays and insect/larval treatments also do not sterilise the soil, but will be effective in killing any pests that may be present. What plants can I grow over the winter months? There is a lot of choice of winter-flowering plants. Annuals/perennials like pansies, heathers, hellebores and primulas are very colourful. Bulbs like snowdrops and early daffodils will flower in late Winter and shrubs like Witch Hazel, winter-flowering Jasmine, Mahonia, Cornus mas and Viburnum bodnantense ‘Dawn’ all add something special to the garden at this time of year. What is the best way to attract wildlife into my garden? There are lots of ways of attracting wildlife into your garden. The main criteria is plants. 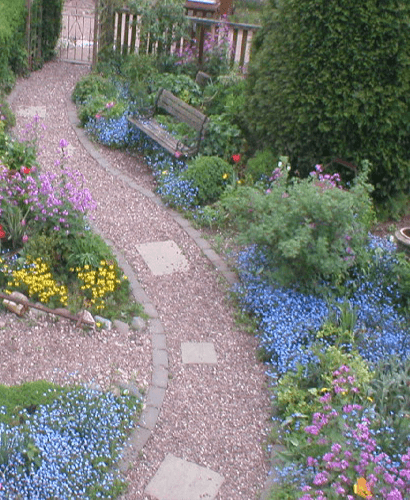 A garden that has a range of trees, shrubs, perennials, climbers and annuals planted, will attract birds, insects, bees, butterflies and possibly hedgehogs. There are various animal and insect shelters that you can buy to encourage a particular type of wildlife to the garden and supplementary feeding always helps. Certain plants like Buddleia (the Butterfly Bush) and lavender also attract specific types of wildlife. In general, the more plants and trees a garden has, the greater the number and diversity of wildlife present. 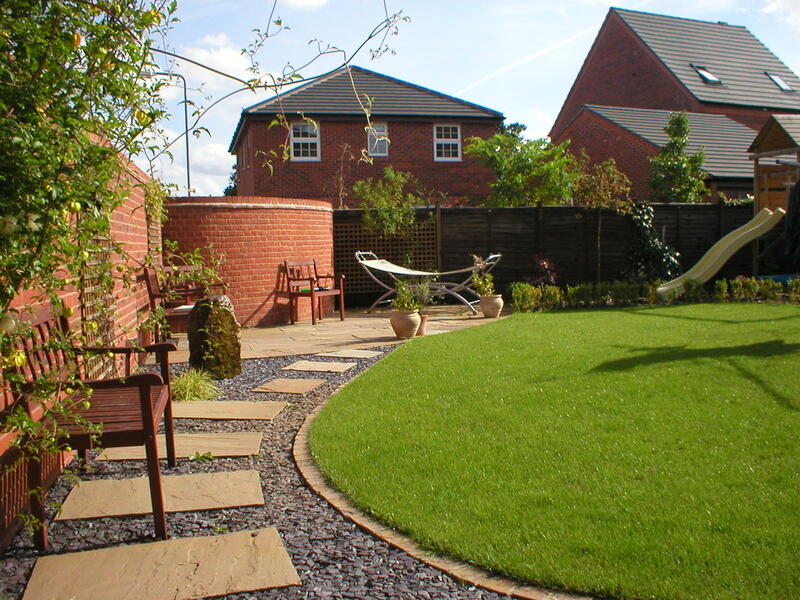 Beautiful Gardens offers a 2-year warranty on workmanship and materials under the TrustMark scheme and through it’s membership with the Association of Professional Landscapers. This only applies to hard landscaping and does not include plants, turf, tress etc. We employ all of our staff and currently have 6 employees experienced in all aspects of landscaping. There are occasions where subcontract help is necessary. Electricians are often incorporated into our costs and some of the work may be better carried out by a specialist company. We will always advise you when subcontractor assistance is necessary. This depends a lot on the environment that the plant is growing in. Wisteria are originally from the forest and as such are used to having to grow high to reach the sunlight. Once they have reached this height they will then (because there is nowhere else to go) flow over the edge of the canopy and hang down and it is actually a chemical reaction when this occurs that causes the flowering. The best way to duplicate this in a garden is to provide the wisteria with a trellis or pergola to grow up and then hang down from. It should then flower within a couple of years of reaching the top. How do I get a free garden design? The way we do free designs is actually by refunding you the charge for the design once you give us the go ahead to do the work for you. We will then knock off the original cost of the design work from your actual quotation.